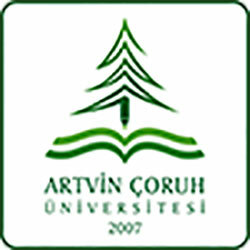 We will be honored with your participation in International Artvin Symposium that will be held on 18-20 October 2018 at Artvin Coruh University. In 2-5 July of 2017 in Tbilisi takes place 5th International Caucasian Symposium on Polymers and Advanced Materials organized by Iv Javakhishvili Tbilisi State University. The purpose of the conference is to encourage scientists working in polymer and advanced chemistry to present their investigations dedicated to problems and discoveries in above mentioned fields. 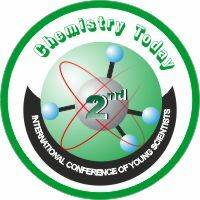 On behalf of all Organizers we have a pleasure and privilege to invite you to attend The 5th International Conference of Young Scientists - Chemistry Today (ICYS-2016) which will be held on the 18-21 September, 2016 in Tbilisi, Georgia. The conference is the 5-th in a series of annual international conferences held every year, organized by the Agricultural University of Georgia and Association of Professional Chemists of Georgia. 2016 წლის 19-20 მაისს აკაკი წერეთლის სახელმწიფო უნივერსიტეტში ჩატარდება საერთაშორისო სამეცნიერო-პრაქტიკული კონფერენცია თემაზე: “თანამედროვე საინჟინრო ტექნოლოგიები და გარემოს დაცვა”. საქართველოს აგრარული უნივერსიტეტი, მიხეილ საბაშვილის ნიადაგმცოდნეობის, აგროქიმიის და მელიორაციის ინსტიტუტი, საქართველოს ნიადაგმცოდნეთა საზოგადოება და საქართველოს პროფესიონალ ქიმიკოსთა ასოციაცია 2015 წლის ნიადაგის წელთან გამოცხადებასთან დაკავშირებით ატარებს მოსწავლეთა რესპუბლიკურ ოლიმპიადას „დედამიწა ჩვენი სახლია“. 2015 წლის 23-26 ივნისს ერევენში ტარდება ახალგაზრდა მკვლევართა მე-3 საერთაშორისო სამეცნიერო კონფერენცია "დიალოგი მეცნიერებაზე" მიძღვნილი შპს "არმიბიოტექნოლოგიის" 5 და ბიოტექნოლოგიის ინსტიტუტის 45-ე წლისთავისადმი. In 1-4 July of 2015 in Batumi takes place 4th International Caucasian Symposium on Polymers and Advanced Materials organized by Iv Javakhishvili Tbilisi State University and Sh. Rustaveli Batumi State University. The purpose of the conference is to encourage scientists working in polymer and advanced chemistry to present their investigations dedicated to problems and discoveries in above mentioned fields. 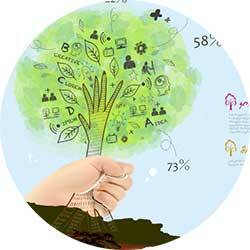 3-rd International Conference of Organic Chemistry (ICOC-2014) "Organic Chemistry - Driving Force of Life Development"
The Organizing Committee cordially invites you to the 3-rd International Conference of Organic Chemistry (ICOC-2014) "Organic Chemistry - Driving Force of Life Development" organized by the Javakhishvili Tbilisi State University and Association of Professional Chemists of Georgia. 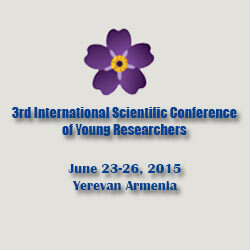 This forthcoming conference will be held in Tbilisi, Georgia on September 25-28, 2014. The Organizing Committee cordially invites you to the 8-th Eurasian Meeting on Heterocyclic Chemistry (EAMHC-2014) which will be organized by the Javakhishvili Tbilisi State University and Association of Professional Chemists of Georgia. 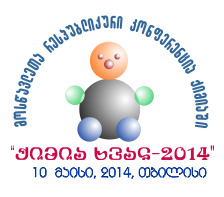 This forthcoming meeting will be held in Tbilisi, Georgia on September 20-24, 2014.
საქართველოს მეცნიერებათა ეროვნული აკადემიის ქიმიისა და ქიმიური ტექნოლოგიების განყოფილების დარგობრივი კომისიები "ფარმაკოქიმია" და "ორგანული ქიმია" 2013 წლის 25-26 ნოემბერს ატარებს მეორე სამეცნიერო კონფერენციას თემაზე "ბუნებრივი და სინთეზური ბიოლოგიურად აქტიური ნივთიერებები". საერთაშორისო სამეცნიერო-პრაქტიკული კონფერენცია თემაზე: "ინოვაციური ტექნოლოგიები და თანამედროვე მასალები". 2013 წლის 6-7 ივნისს აკაკი წერეთლის სახელმწიფო უნივერსიტეტში ჩატარდება საერთაშორისო სამეცნიერო-პრაქტიკული კონფერენცია თემაზე: “ინოვაციური ტექნოლოგიები და თანამედროვე მასალები”. ახალგაზრდა მეცნიერთა საერთაშორისო კონფერენციის "ქიმია დღეს - 2013" საორგანიზაციო კომიტეტი მოხარულია შეგატუობინოთ, რომ მორიგი მე-3 კონფერენცია ჩატარდება 2013 წლის 17-19 მაისს სასტუმრო დიდუბე-პლაზაში. ჩატარების ადგილი: სასტუმრო "დიდუბე პლაზა"
ახალგაზრდა მეცნიერთა II საერთაშორისო კონფერენცია: "ქიმია დღეს-2012"
საქართველოს ტექნიკური უნივერსიტეტის ქიმიური ტექნოლოგიისა და მეტალურგიის ფაკულტეტი 2012 წლის 21-23 აპრილს ატარებს მეორე ახალგაზრდულ კონფერენციას -"ქიმია დღეს". ღონისძიების მიზანია ახალგაზრდების ქიმიისადმი ინტერესის გაზრდა და მათი ჩართვა აქტიურ სამეცნიერო შემოქმედებით საქმიანობაში და ერთობლივი კვლევების ჩატარების ხელშეწყობა. II საერთაშორისო სიმპოზიუმი ორგანულ ქიმიაში - "ჰეტეროციკლურ ნაერთთა ქიმიის მიღწევები"
II საერთაშორისო სიმპოზიუმი ორგანულ ქიმიაში - "ჰეტეროციკლურ ნაერთთა ქიმიის მიღწევები" ჩატარდება 25-27 სექტემბერს თბილისში სასტუმრო "D-Plaza"-ში. კონფერენციის ორგანიზატორები არიან თბილისის ჯავახიშვილის სახელმწიფო უნივერსიტეტი, საქართველოს ტექნიკური უნივერსიტეტი და საქართველოს მეცნიერებათა ეროვნული აკადემია. კონფერენციის საინფორმაციო მხარდაჭერას ახორციელებს "საქართველოს პროფესიონალ ქიმიკოსთა ასოციაცია". ახალგაზრდა მეცნიერთა რესპუბლიკური კონფერენცია: "ქიმია დღეს"
2011 წლის 26 თებერვალს საქართველოს ტექიკურ უნივერსიტეტში (ორგანული ქიმიის მიმართულება, ქიმიური ტექნოლოგიისა და მეტალურგიის ფაკულტეტი) ტარდება ახალგაზრდა მეცნიერთა რესპუბლიკური კონფერენცია "ქიმია დღეს". 2010 წლის 24-25 ნოემბერს საქართველოს სახელმწიფო აგრარულ უნივერსიტეტში ტარდება საერთაშორისო კონფერენცია თემაზე: "აგრობიომრავალფეროვნების დაცვა და სოფლის მეურნეობის მდგრადი განვითარება"
2010 წლის 17–18 ივნისს აკაკი წერეთლის სახელმწიფო უნივერსიტეტში, საინჟინრო-ტქნოლოგიური ფაკულტეტის ორგანიზებით, ჩატარდა საერთაშორისო სამეცნიერო-პრაქტიკულმა კონფერენცია "ახალი ტექნოლოგიები და თანამედროვე მასალები". 2010 წლის 7–9 მაისს შოთა რუსთაველის სახელმწიფო უნივერსიტეტში საერთაშორისო კონფერენცია "ბათუმი-გაზაფხული-2010" ჩატარდა. კონფერენცია სხვა საპატიო სტუმრებთან ერთად ევროკავშირის ელჩმა საქართველოში პერ ეკლუნდმა გახსნა. "ბათუმი-გაზაფხული-2010" ევროპის დღეს - 9 მაისს მიეძღვნა და მისი მიზანი იყო მსოფლიოს მდგრადი განვითარების თანამედროვე მიდგომების შემუშავება. სამდღიან კონფერენციაში ევროპის 20-მდე ქვეყნის 200 ცნობილი მეცნიერმა, დიპლომატმა და პოლიტიკოსმა მიიღო მონაწილეობა.